John Quinn has received instructions to offer for sale No 13, Rosmeen Court, Salthill, a first floor two bedroom apartment which is in excellent condition and is situated within a two minute walk of Salthill Promenade. The property also enjoys easy access to the city centre, the university, and all local amenities in Salthill including schools, church, and shops. 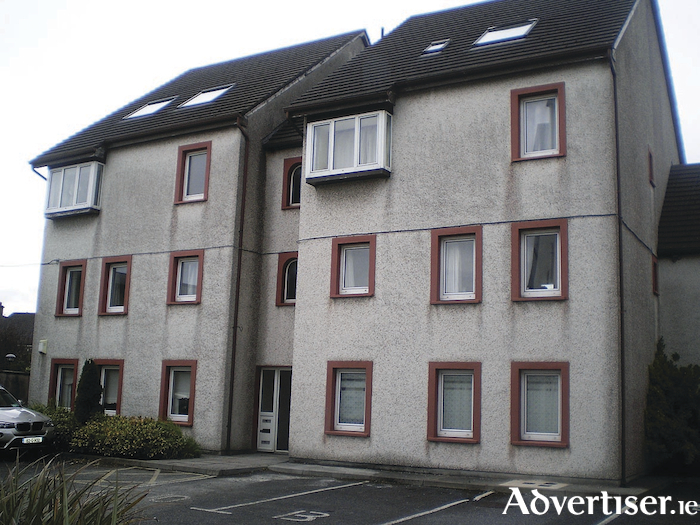 The apartment is very well maintained inside and is ready to walk straight in to. The property has a very attractive rear balcony and a first class kitchen which incorporates a dishwasher, washing machine, dryer, fridge, hob, and oven. The master bedroom also has a beautiful en suite. The property comprises a sitting room/dining area, fully fitted kitchen, two bedrooms, en suite off the master bedroom, and a very attractive main bathroom. The property has a BER of D1 on BER cert no 110238185. The property is just on the market and viewing can be arranged by contacting John Quinn at 091 569174.